Next > Lawn Fawn – Another Winter Alpaca! 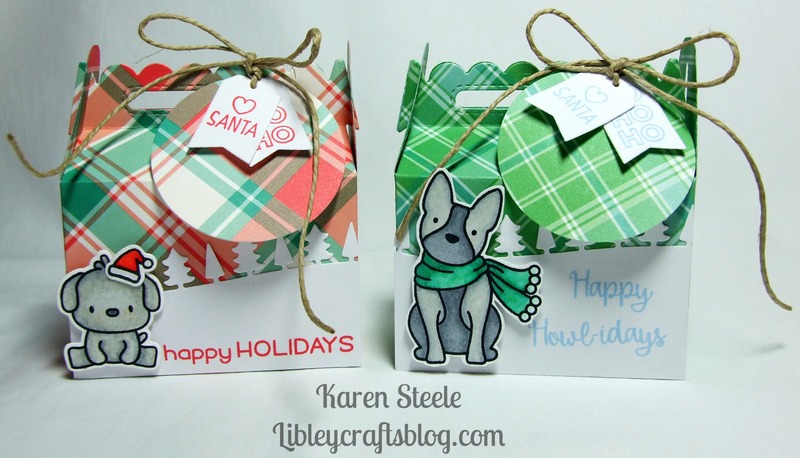 Awww…your treat boxes are so CUTE!! Love the snow tree scene and the darling critters! Awesome tags, too!! Awesome idea! Love the papers and the sweet images you chose – I must copy this! I covet this box die! You have made them so well. The mix of pattern and colouring, which I know I keep mentioning it, but hey, you do it BRILLIANTLY, so I have to. I also love the layered tags as an extra detail. Fab! Thank you Gill! I do enjoy making these! This is a great idea for wrapping up money or a gift card, I’m always anxious they will get lost in all the wrapping paper if adding them with another gift. They’re so adorable too!